Internet users who probably need to get out more are all aflutter about NASA hiding alien life from us, after a mysterious pink spot caught on camera floating above the International Space Station has left space buffs and alien-watchers perplexed. 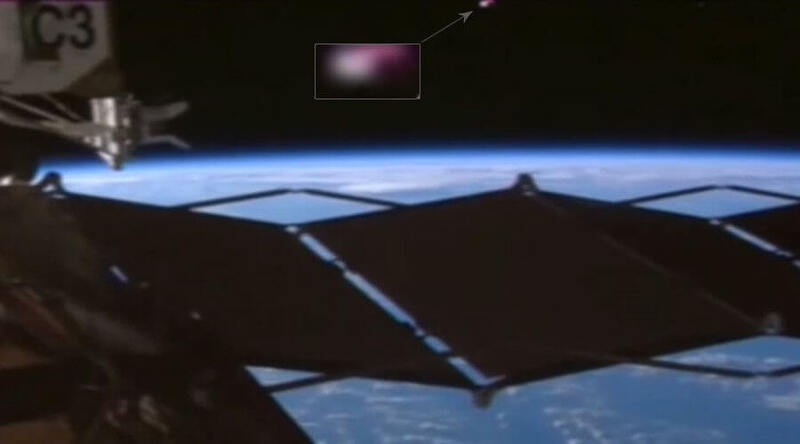 It all started with a YouTube viewer who examined the ISS footage and decided the station was being “monitored by extraterrestrials.” He posted the short version of the video, which shows the ISS cam panning to the right, before it freezes and, indeed, shows a pink and gold UFO just sitting there. The original pre-recorded stream, caught on August 3, shows the spot at around the 7-minute mark, when the camera pans to the right. What’s weird is that the latest video comes soon after another piece of NASA footage that, oddly enough, cuts out right at the moment where mysterious lights are seen flying away from Earth. The video was shot in June, also from aboard the ISS. The user, Streetcap1, will have none of it, and wants NASA to “stop treating people like children.” Some said it might have been a piece of space debris, or just a glitch, but NASA is keeping mum, which has Streetcap1 so agitated. As predicted, certain members accuse the user of doctoring the footage. However, that is not true, since the original stream also shows the same pink and gold dot. That second footage does make something stir inside the viewer, as dots can clearly be seen leaving Earth. It would, however, be naïve to think that the cameras aboard the ISS never turn off: NASA switches them off regularly for a number of technical reasons. Those pauses are very brief. The rest of the time, we’re treated to the show 24/7. We’ll leave it up to you to decide what you see in those videos.